For admissions into most Jewish schools, parents are required to present the school with a Certificate of Religious Practice form (CRP). 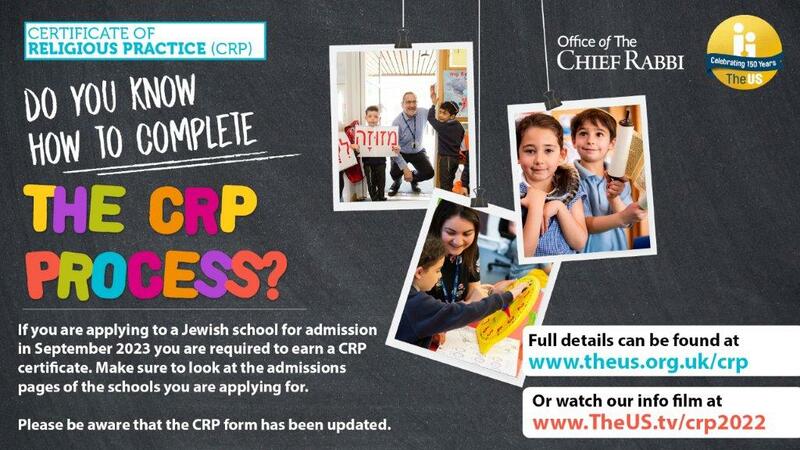 As soon as your child’s attendance has been confirmed, and the required attendances completed, please bring the relevant CRP Form/s from the school/s that you are applying for to the Shul office and we will endeavour to get them signed and returned to you in good time. It is your responsibility to ensure that you meet any required deadline dates, so please be aware of your deadlines.